So let's just get this out of the way: I adore Bravo and the wanderlusting, lifestyle enabling, success celebrating nature of its Million Dollar & Real Housewives shows. This week I find I've been missing and longing for the Joshes (both Altman & Flagg) as well as the dreamy California properties they feature. 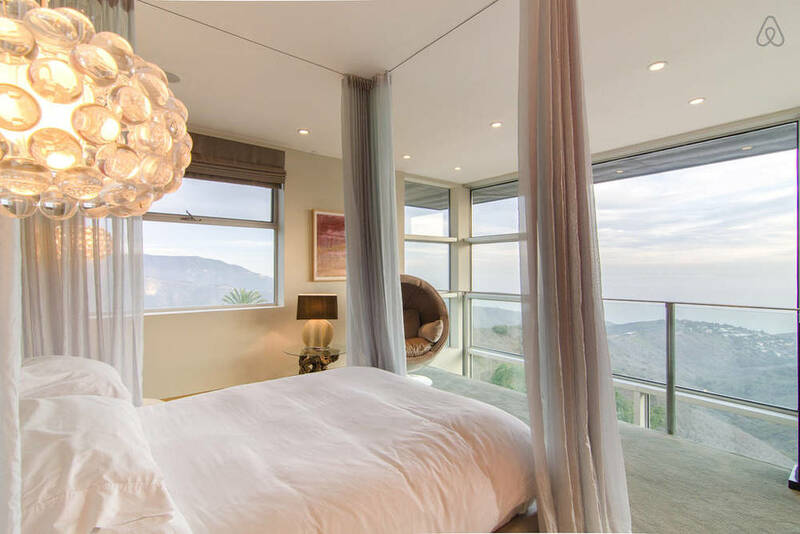 This airbnb listing has me almost realizing my Malibu dreams with this stunning modern residence. 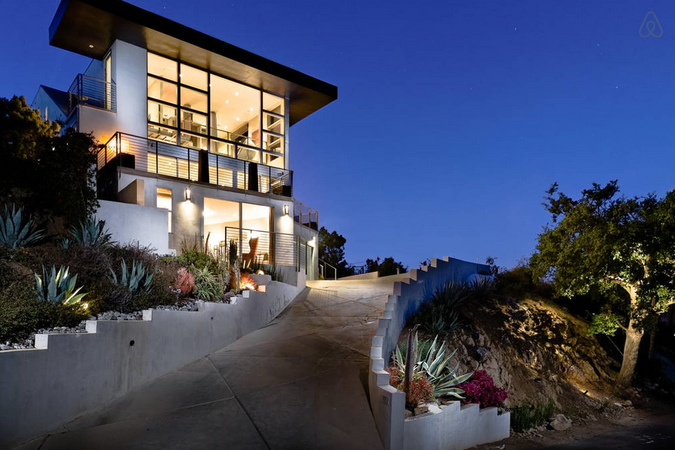 This is surely a home Bravo's very own Malibu expert Madison Hildebrand would have personally been familiar with. Yours (or mine) for $900 per night, this glamorous architectural beauty boasts mountain and ocean views - and enough jaw dropping vistas indoors to make the nightly rate feel downright reasonable. What it lacks (pool... where are you???) it strives to make up for in high end appointings and Kelly-Wearstler-meets-Martyn-Lawrence-Bullard sexiness. Brass wrapped tufted velvet seating, anyone? Check. Sleek white kitchen? Check. Deep soaking tub with a view of the Pacific? Check! So come on, Bravo. Bring back my house lusting summer show. I do believe I do believe I'm experiencing withdrawal symptoms of the luxurious kind. Not on Airbnb? Sign up here.